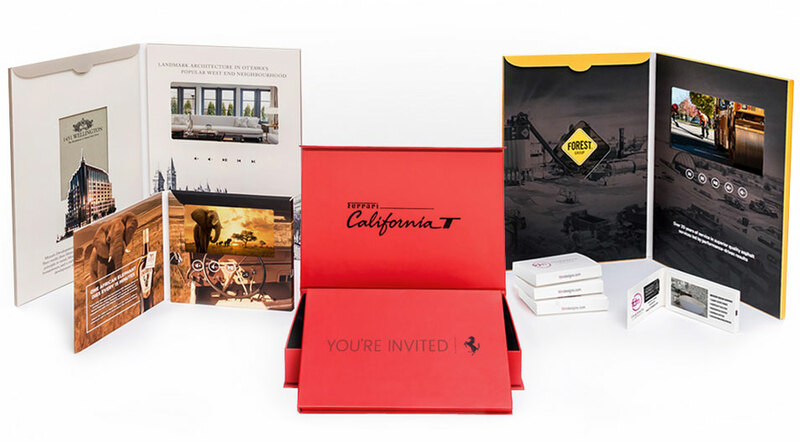 These Video Brochure Boxes have been designed for numerous uses. From product launches to client gifts… ask us for more details. 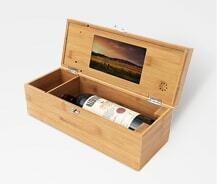 Introducing a brand new product line – The Video Wine Box makes a perfect package for any Winery, Connoisseurs or Collectors. Elevate the way you market your business — explore the impact of a quality video brochure. 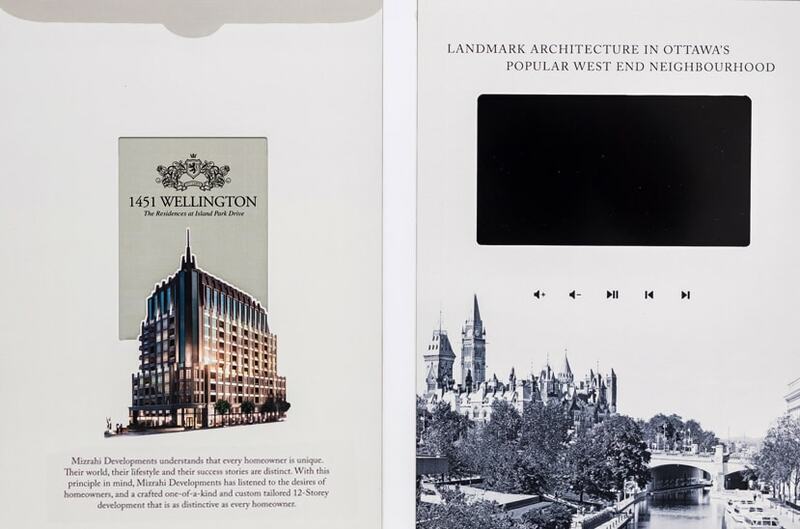 Our 7" video brochures have an optional inside pocket where you can store additional print material. 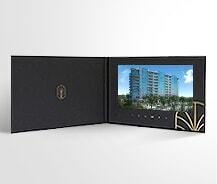 You can truly make your video brochure your own with a custom designed skin. Everything from the cover, to inside panel, and even the controls can be customized. You can also choose between a soft-touch coated softcover or a vinyl wrapped hardcover enclosure. Browse our extensive selection of video brochures to find the perfect marketing solution for your brand. Video Brochure Canada offers a wide assortment of unique products to help amplify your voice and attract your company’s desired audience. 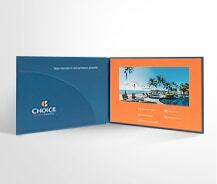 If you want to leave a big first impression, our 7" video brochures are where you want to be. Offering the most customization options including an optional inside pocket with die cut. These brochures will give you the greatest ability to express your brand message in a way only you can. Our 5" square video brochure offers many of the features found in its larger 7” counterpart, while remaining size conscious. These medium-sized video brochures feel great in hand and are easily transportable for events and trade shows. If you can dream it, we can probably build it. The sky is (almost) the limit with our custom designed solutions. Everything from the look and feel to the shape and function can be customized.